A revolution is underway in cancer therapy, raising the spectre of hope for patients whose cancers are difficult or impossible to treat with surgery, radiotherapy or conventional chemotherapy. Immunotherapy, where the body’s immune system is primed to kill cancer cells in some way, is already making waves – and this year’s Nobel prize for medicine went to two pioneers. The winners, Tasuko Honjo and James Allison, discovered and developed ways of getting T-cells to recognise and kill cancer cells by switching on the immune response via checkpoint inhibitors. 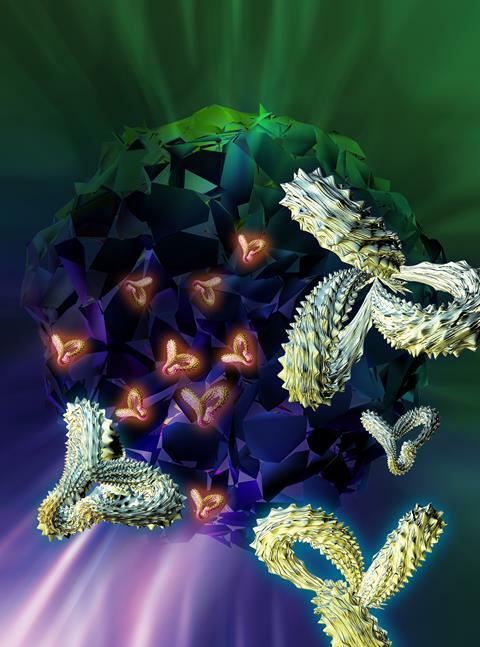 These drugs, in effect, turn off the biological brakes that keep the immune response in check. Those pioneered by Honjo act at programmed cell death protein 1 (PD-1) or its ligand PD-L1, while Allison’s work looked at cytotoxic T-lymphocyte-associated protein 4 (CTLA-4). Both mechanisms have had successes. 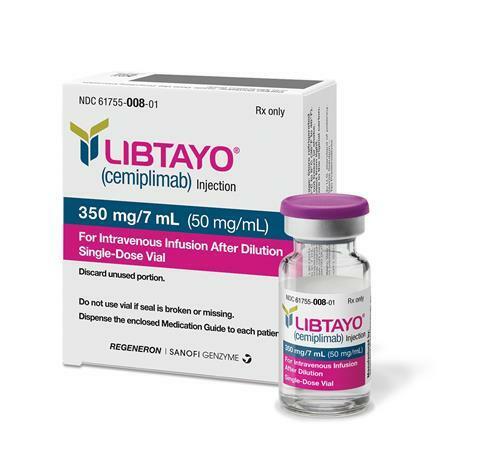 The first checkpoint inhibitor to reach the market, in 2011, was Bristol-Myers Squibb’s ipilimumab (Yervoy), and it is thus far the only one that acts at CTLA-4. The other six all interact with PD-1 or PD-L1 [see table]. The most recent to reach the market, the PD-1 inhibitor cemiplimab (Libtayo) from Sanofi and Regeneron, gained US approval in September. An enormous number more are in the pipeline across the industry. 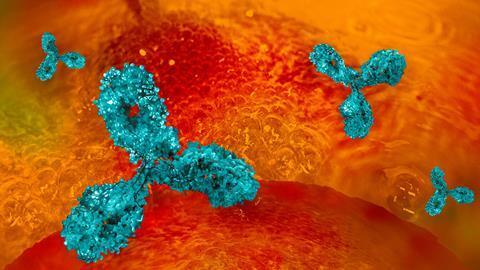 A bispecific antibody that hits both CTLA-4 and PD-L1 has even been developed by Chinese company Alphamab, and is in early clinical trials in Australia. Unlike the earlier approvals, which were for some of the more common cancer types including non-small cell lung cancer, melanoma and bladder cancer, Sanofi’s cemiplimab was approved to treat a less common skin cancer, cutaneous squamous cell carcinoma. Moving into new indications is one way that companies might succeed in the increasingly crowded market, according to GlobalData senior analyst Chloe Thepaut. Increasingly, checkpoint inhibitors are being used in combination, either with another immunotherapy or more traditional therapy. A quick search for clinical trials for cancer immunotherapy on clinicaltrials.gov in early October showed up nearly 2300 studies – of which over 850 were actively recruiting – and more than a third of these involve combinations. Checkpoint inhibitors might be combined with a targeted therapy such as trastuzumab (Roche’s Herceptin) for breast cancer, for example, to increase the chances of therapeutic success. Promising results have already been reported for some combinations, including Phase III results earlier this year for pembrolizumab in non-small cell lung cancer, given with Lilly’s pemetrexed (Alimta) and platinum-based chemotherapy. Thepaut says GlobalData interviews earlier this year highlighted the interest in combinations. ‘Checkpoint inhibitors will not be effective in all patients,’ she says. ‘If combinations did not add significant toxicity and improved efficacy, this was viewed as a promising approach.’ But there was little consensus about which combinations were likely to be most effective. With so much activity in the cancer field, it is increasingly difficult to recruit sufficient trial subjects. There is a lot of competition for a limited number of patients – especially as many trials will limit the prior therapies they can have received, and some have lengthy lists of inclusion and exclusion criteria that the patients must meet. The potential of checkpoint inhibitors is getting wider recognition, too. At his inaugural lecture of the Imperial Cancer Research UK centre at Imperial College, London, in October, former US vice-president Joe Biden – who led President Obama’s Cancer Moonshot and set up the Biden Cancer Initiative last year – spoke about his son Beau’s treatment for brain cancer before he died in 2015, and how fast the field has advanced since then.